Forget about the Kavanaugh fiasco and attacking Catholics. Infidelity with a married man is always a winner outside CA. This is the woman we need to turn all those fly-over states blue. "I'm better than Booker and T-Bone , I'm not Spartacus for christ's sake..."
Isn't there anyone else out there? my position on Canada being too cold. Let's all recall the last couple politicians to come out of SF. I keep Hoping If I ignore her she'll go away. @EdMass Sadly, It never seems to work for recurring Infections. She's gotalotexplaintodo in my opinion. Pro prison labor. Not that progressive as an attorney general during the foreclosure crisis. -So now we have Warren, Gabbard, Harris, Delaney, Gillibrand, and Castro as having officially at least announced an exploratory? Thats already a good field. -scratch Tulsi from the list — and I agree. Tulsi not feeling the love on ToP, but Harris sure is. @snoopydawg krazy for Kamala (sorry, couldn't help it)? Figures, doesn't it? No doubt they'll scream "racist!!!!" at anyone who dares to question her qualifications, like they did with Obama. Plus they still have "sexist" and "misogynist" to bludgeon doubters with. It's a win/win for the DKers! Anyone who criticizes any woman running for president is being called sexist. Except those who write diaries and comments criticizing Tulsi. There have been two anti Tulsi diaries there and they were written by men and no peep of the word sexist. DoV is strongly pushing Harris and you know what happens if you cross her. The AlexShepard Tulsi diary there was not fun to read. I've never been so tempted to comment, but ... deaf ears and all that. #3 krazy for Kamala (sorry, couldn't help it)? Figures, doesn't it? No doubt they'll scream "racist!!!!" at anyone who dares to question her qualifications, like they did with Obama. Plus they still have "sexist" and "misogynist" to bludgeon doubters with. It's a win/win for the DKers! @snoopydawg That the woman who is determined that she be judged for the color of her skin announce her run for president on the day put aside for the man who wanted the exact opposite to be the guiding principle of this country. It has always been about the color of the policies they vote for. The only time I comment about Obama's is when I talking about the irony of his bringing slavery back to Libya. How he gets away from that scandal and tragedy I have no idea. This is regards to people saying that he left office scandal free. #3.1.1 That the woman who is determined that she be judged for the color of her skin announce her run for president on the day put aside for the man who wanted the exact opposite to be the guiding principle of this country. Courtesy of Denise OV-- "She did it on MLK Day!" Have to stop now, I'm swooning. than kamala harris? kamala harris has all the best words? L:ike HRC, she gets more cloying and annoying with each public (including congressional) speech. Hillary had this gift. Now it's the Camel's turn. She has wide exposure in CA as an egregious "public servant", letting Steve Mnuchin get off the hook for the 1000+ fraudulent loans and foreclosures state investigators identified (plus allegedly 1000 more not yet fully investigated), all for a measly $15K. 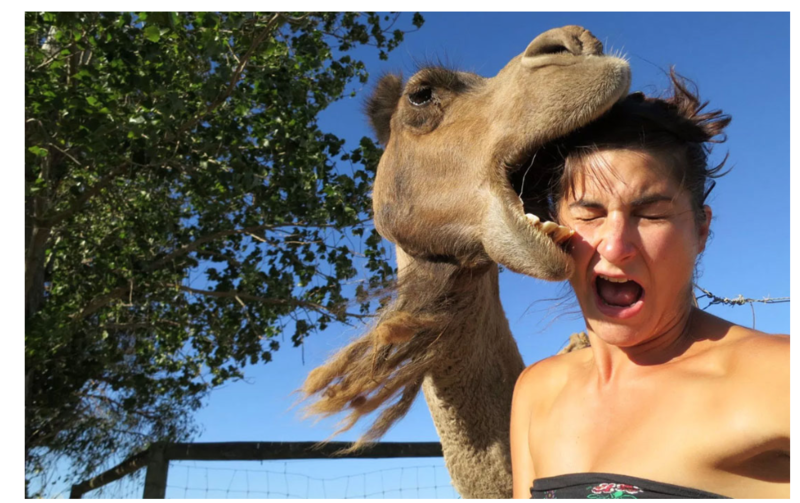 Watch out for camels--they are nasty and smell bad! @Alligator Ed Yes, he's Canadian but most of his broadcasts are about US politics. He was and is very Berniecrat-style progressive. I'm going with Boy George's take. "Kamala Harris is immediately the front-runner for the Democratic nomination, and if Russia is predictable, they will create armies of bots attacking her from the left. If you're left of Kamala Harris, I'm sure you are honestly, but you'll be doing Putin's work, like it or not." @Shahryar Start that is. It's not worth the time, most of the time. @Bollox Ref Laugh, laugh, laugh!